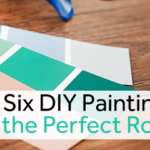 How often have you wondered why you haven’t painted your ceiling? If you haven’t asked yourself that, maybe it’s time you did. Designers consider the ceiling the “5th wall” and use it as an important aspect of their planned changes for the space. Painting the ceiling is an excellent way to tie the room in with an adjacent room to give the house a sense of flow. Using the ceiling to bring in color from other rooms compliments the design without eliminating decor. While the ceiling may go largely unnoticed now, incorporating it into your next paint project will ensure it won’t go unnoticed for long. Zest it up with color. If that’s too bold of a move for you, paint it black. A black ceiling gives an elongating look, making the room seem larger. 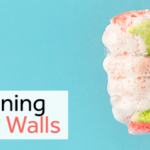 Stepping outside of your comfort zone and painting the ceiling could be the design element you’ve been missing, but make sure to touch up the walls too to keep the room clean and cohesive. Don’t trust just anyone with your painting project. 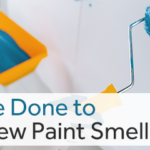 Call the Atlanta Painting Company at 770-551-0101 or fill out our online form. 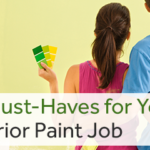 We have experienced, professional painters who will treat your home with respect. Your project manager will stay in touch with you to keep you updated on the progress. You’ll never have to wonder what’s happening. 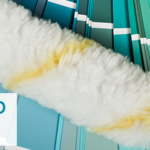 We have professional color consultants ready to help design your perfect space and we want to go the extra mile for you. Get a free quote today so you can have the space you’ve been dreaming about before the holidays.